In the last few years, the number of eye surgeries for conditions including glaucoma and cataracts has greatly increased and with it, so has the number of potentially blinding intraocular infections. In a recent study, researchers demonstrate using a mouse model that engineered nanosponges can be employed to protect eyes from infections caused by Enterococcus faecalis. Enterococcus faecalis contain a toxin known as cytolysin, which is found in approximately 50% of isolates that cause post-operative intraocular infections witnessed in the United States. Details of the research are published in mSphere, an open-access journal of the American Society for Microbiology. "Toxins are very important in bacterial ocular infections and current therapeutic strategies don't really address them," said principal study investigator Michelle Callegan, PhD, James P Luton Endowed Chair in Ophthalmology, Departments of Ophthalmology, Microbiology, and Immunology, University of Oklahoma Health Sciences Center, and the Dean A. McGee Eye Institute, Oklahoma City. Intraocular infections happen when microorganisms are unintentionally introduced into the eye during, for instance, traumatic eye injuries, eye surgeries for glaucoma or cataracts, or eye injections to treat age-related macular degeneration. E. faecalis belongs to a subset of extremely pathogenic ocular bacterial infections whose pathogenesis is tied to their creation of pore-forming toxins. 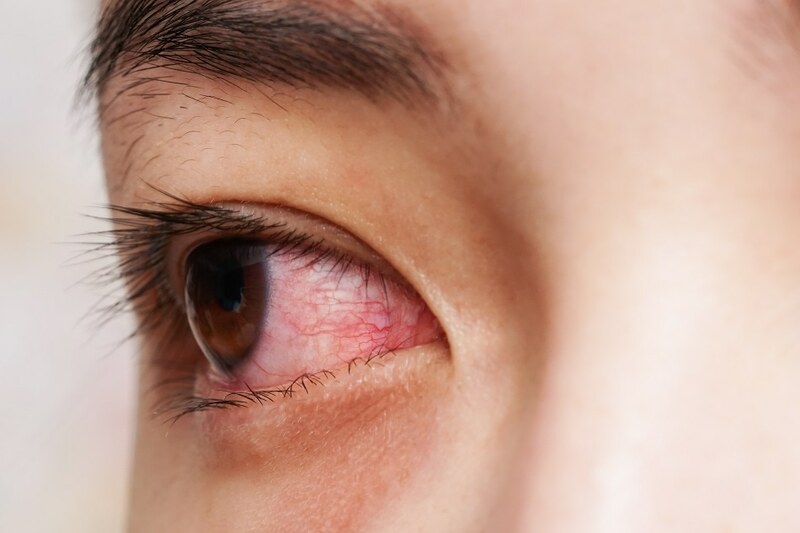 Pore-forming toxins, main factors for retinal tissue damage in intraocular infections, comprise around 25% to 30% of bacterial cytotoxic proteins and include Streptococcus pneumonia pneumolysin, Staphylococcus aureus alpha toxin, and E. faecalis cytolysin, to list a few. If an infection is in the cornea, the toxins from these bacteria will disrupt the epithelium, resulting in an ulcer. If the infection is in the inside of the eye, those toxins will cause disruption of the retina, a nonregenerative tissue which is essential to vision. Existing strategies for treating eye infections caused by bacteria that create toxins are subpar. "We use antibiotics that can kill the organisms, and we use anti-inflammatory agents like corticosteroids, which may or may not help with inflammation, but we don't really have a good strategy for targeting toxins," said Dr. Callegan. New strategies are required, particularly with the increasing issue of multidrug resistance. After learning that Dr. Liangfang Zhang from the University of California-San Diego had created nanosponges that could absorb toxins produced by methicillin-resistant Staphylococcus aureus, Dr. Callegan partnered with her group to assess nanosponges in ocular infection models. Nanosponges comprise a polymeric nanoparticle core surrounded by a natural red blood cell membrane that irrevocably binds pore-forming toxins, thus stopping them from acting on their normal target cell. In vitro experiments showed that the engineered nanosponges were capable of neutralizing E. faecalis cytolysin, therefore, the researchers conducted their research on animal models. They injected nanosponge pre-treated supernatant that contained the cytolysin into mouse eyes and demonstrated that the engineered nanosponges were able to neutralize cytolysin and prevent injury to the eye. Additional experiments revealed that injecting the nanosponges into the vitreous (the clear gel that plugs the space between the lens and the retina) six hours following infection with a wild type cytolysin-producing strain safeguarded the retina from injury. When we treated the infected mouse eyes with the nanosponges, the retinal function in these eyes was actually preserved to a significant degree. When we didn't treat, the retinal function was completely lost. The nanosponges provided some protection for the retina, and that was very exciting. The research provides a confirmation of principal that nanosponges could in the future be used to fight the increase of intraocular infections observed with increased number of eye procedures performed today for glaucoma, cataracts, and other conditions. "We have many more experiments to do," said Dr. Callegan. "We are in the process of testing the ability of these nanosponges to treat infections with other Gram-positive ocular pathogens that produce pore-forming toxins." She said they will also examine adjunct therapy with antibiotics and nanosponges in eye infection models. If this all pans out, you could conceivably see this as a therapeutic for patients as they are treated with antibiotics before and during ocular surgery, or immediately after ocular trauma.